Hi there guys and gals! We had some technical difficulties during the Blog Swap and Hop the other day. Below, I am sharing the wonderful guest post Staci wanted to share with you! Be sure to read it and visit Staci's blog to let her know how you like her post! that I think I have changed it more times than the total amount of years I have been teaching! 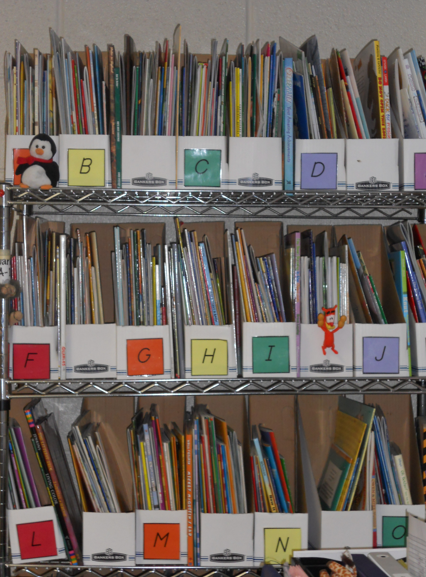 There have been so many wonderful ways to organize and label and distribute and store the books that the children use in the classroom. 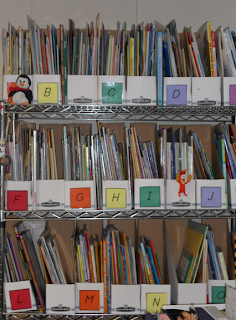 Today I would like to talk to you about how I organize, store, and FIND the books that I use for instruction. 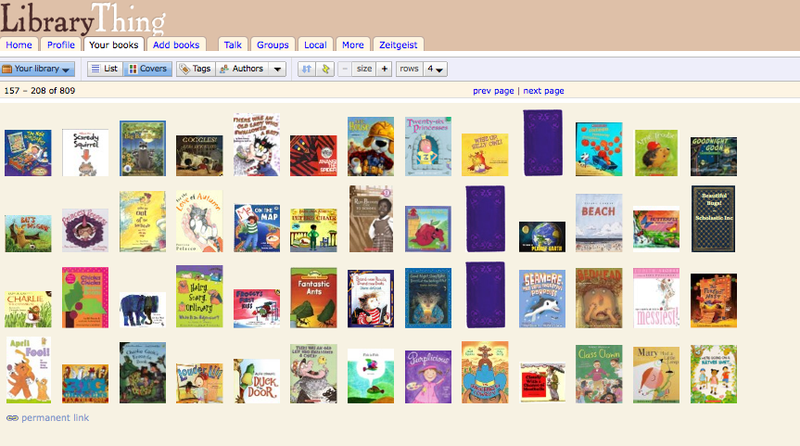 Library Thing is a way for you to "inventory" what you have, tag it, share it, review it, and most importantly- FIND it! I can choose to see my books by author, title, genre or other tags that I can create. I can also see them as book covers or just listed titles. This page happens to be by author and cover. If you will notice, up there in the corner it shows that I have over 800 books listed in there. How did I get them in there? I can either click on ADD BOOKS and type in the title or the ISBN number. First I type in the name of the book I am trying to add. Next I click on Quick Edit. Then I want to type in some tags so that I can find this book later. I will most likely use this for some type of feelings, friendship type lesson. that we are in the school year and I am planning and I need to find my books about friendship, emotions, feelings- etc. So I go to Library Thing, type in feelings- and VIOLA!!! There it is, along with 14 other books that I might want to use this week. Now, where do I physically find the book? I have my books (the ones that are for instruction) organized in bankers boxes, alphabetically. Don't worry- I am not "cray-cray" ! They are not in the boxes alphabetically- just by title. and I know which box to look in and which title I am looking for in there! Not to mention- every book that I own (for school) is in there. So if I am planning from home, I have all of my resources right there! Well.....Free- if you have 200 books or less listed. They have different rates- but I paid $20 for a LIFETIME membership!!! LIFETIME! and UNLIMITED amount of books! There are resources on Library Thing that I don't use that often, but you can explore!!! As soon as I purchase a new book, I add it to my library and put it in the correct box- Easy Peezy!! Thank you for having me, Leanne!! !